Pyongyang, March 25 (KCNA) — Rodong Sinmun Wednesday editorially hails the 7th National Meeting of Sportspersons to be opened here. President Kim Il Sung formed an organization of sportspersons of new Korea and convened the 1st Meeting of Sportspersons. Since the founding of the state they have performed great feats for the party and the leader, the country and its people. Posted in Senza categoria on marzo 25, 2015 by calciocorea. Posted in Senza categoria on marzo 24, 2015 by calciocorea. La nazionale under23 ha pareggiato 1-1 con i pari età della Malesia in una gara amichevole giocata al Thai – Japanese Stadium di Bangkok. La rete coreana è stata messa a segno al 35′ da Jong Il-Gwan su calcio di rigore. Pareggio malese al 79′. In precedenza, il 20 marzo, la Corea aveva pareggiato 1-1 anche contro il Port FC, squadra che milita nella Thai Premier League. 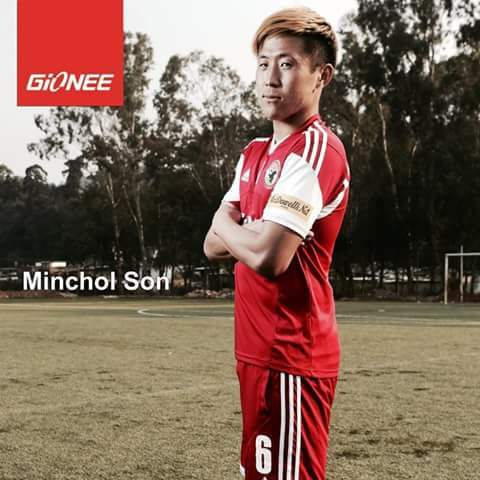 Posted in Senza categoria and tagged nazionale under 23 on marzo 24, 2015 by calciocorea. 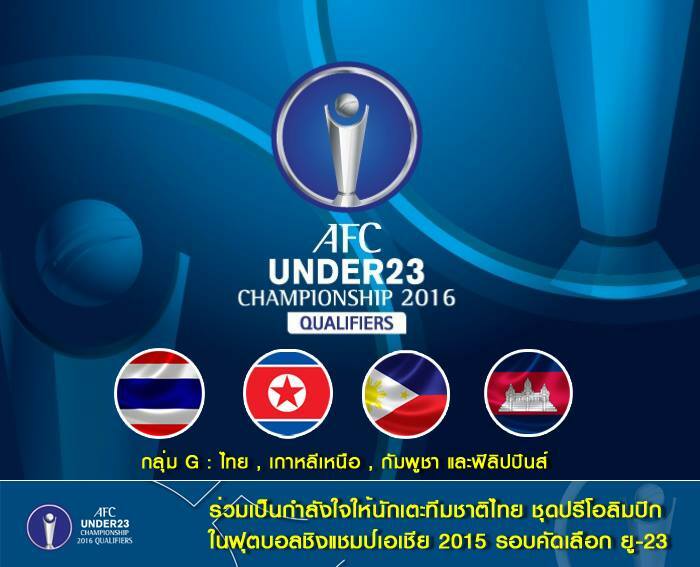 Sarà Ra Pong-Gi l’allenatore dell’under23 che il 27 inizierà il cammino verso l’Afc under23 che varrà anche come qualificazione alle prossime olimpiadi. Ra Pong-Gi è già stato protagonista sulla.panchina della nazionale nei primi anni del nuovo secolo, oltre che assistente nell’Afc Challenge Cup del 2012. Posted in Senza categoria and tagged nazionale under 23 on marzo 23, 2015 by calciocorea. The Democratic People’s Republic of Korea (DPRK) has informed the Gwangju Universiade Organizing Committee (GUOC) that it will take part in the 28th Summer Universiade this year in the Republic of Korea (ROK). On March 5, the GUOC announced that the head of the University Sports Association of D.P.R. Korea handed in the entry form through the International University Sports Federation (FISU) on March 3. According to the entry information, DPRK will send 75 athletes and 33 officials to compete in 8 sports (i.e., athletics, diving, artistic gymnastics, rhythmic gymnastics, table tennis, judo, football, and handball). For the past 10 years, around 45 DPRK delegates have participated in each Summer Universiade. This year’s Summer Universiade in Gwangju, ROK, is due to take place from July 3 to 14 and is expecting 20,000 participants from 170 countries to take part in the event. Posted in Senza categoria and tagged nazionale universitaria femminile, nazionale universitaria on marzo 16, 2015 by calciocorea. La Sudcorea dice no ad un team unificato per le Universiadi! SEOUL, March 10 (Yonhap) — South Korea on Tuesday dismissed the possibility of forming a unified team with North Korea for the Gwangju Summer Universiade to be held in July. Given public sentiment here and current inter-Korean relations, it’s “not appropriate” to field such a joint team to the games, a unification ministry official told reporters on background. He was responding to a news report that the government may consider a unified delegation if the North makes such a request. The communist nation has submitted its application to participate in the international sports event for university athletes to be held in the South’s southwestern city from July 3-14. Si chiude con una vittoria la tournee della nazionale under-23 negli Emirati Arabi Uniti. La rete coreana è stata messa a segno nel secondo tempo. Posted in Senza categoria and tagged nazionale under 23 on marzo 13, 2015 by calciocorea. The international governing body of soccer has withdrawn plans to provide impoverished North Korea with U.S. $1.66 million in financial assistance to cultivate domestic growth of the sport, as the country’s regime continues with nuclear development, despite global sanctions. A spokesman for the Zurich-based Fédération Internationale de Football Association (FIFA) told RFA’s Korean Service that according to Swiss law, the organization is unable to provide funds to North Korea through its Financial Assistance Program (FAP), which is designed to bolster soccer in nations that lack resources. “Since FIFA is domiciled in Switzerland, sanctions of the Swiss State Secretariat for Economic Affairs (SECO), as well as the Swiss Federal Council are binding for FIFA,” the spokesman said. The spokesman said SECO and the council maintain a freeze on North Korean assets and a travel ban on North Koreans suspected of having ties to the country’s nuclear program based on sanctions adopted by the United Nations Security Council following nuclear tests in 2006 and 2009, and a satellite launch in 2012 deemed applicable to ballistic missile development. Last year, FIFA provided U.S. $250,000 in assistance to Iran and U.S. $500,000 to Mongolia as part of the program, in addition to other nations, the spokesman said. The governing body had provided North Korea with only U.S. $7,678 for domestic soccer development last year, he added, noting that funds for maintaining fields, and training adolescents and judges, were not sent directly to the North, but provided to a “foreign company” and “an agency” which carried out the work. The spokesman did not specify the time period over which the U.S. $1.66 million had been earmarked for distribution to North Korea, but said FIFA had provided a total of around U.S. $2 million to North Korea over the past 14 years, including U.S. $450,000 in 2001 to upgrade the artificial turf at Kim Il Sung Stadium in the capital Pyongyang. In addition to Kim Il Sung stadium, FIFA funds were used for five other soccer facilities in North Korea over that period, he added, including the training camp for the national soccer team, the headquarters of the North Korea Football Association, and the International Soccer School for children under the age of 13, which opened in 2014. Posted in Senza categoria on marzo 13, 2015 by calciocorea.